AccessCal offers a diverse range of services to help ensure you find the support you need. Whether you’re trying to find a job; attempting to get a better understanding of a society that’s new to you; or yearning to vent about issues that are overwhelming your life, you’re in the right place. Our teams exhibit the knowledge, expertise and welcoming attitude that help you find the support you need. 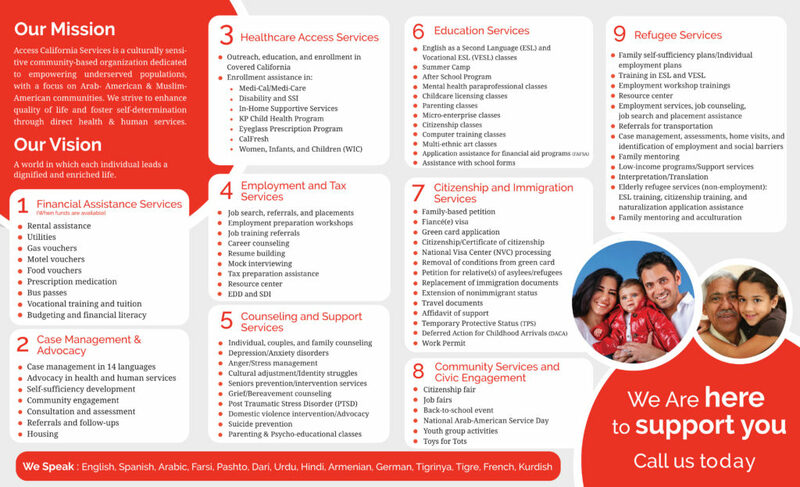 With proficiency in over 13 languages, we provide employment services, counseling, citizenship and immigration services, refugee support services, education, healthcare access, and community engagement opportunities.